The T-shirt is a basic must-have garment in every mans wardrobe. 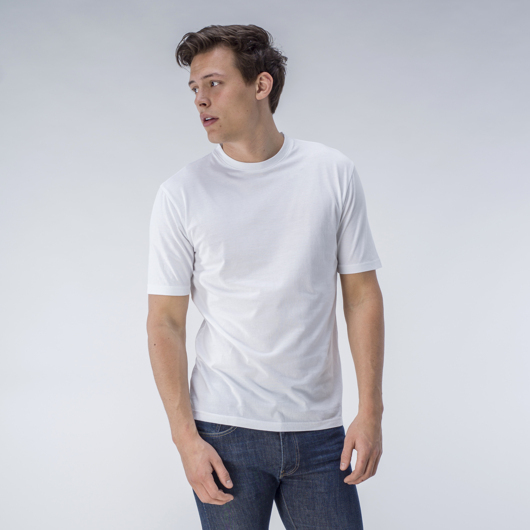 Our t-shirts are made in a soft cotton fabric, available with or without stretch in black or white. Wear it under a shirt or as it is with a pair of jeans or chinos.